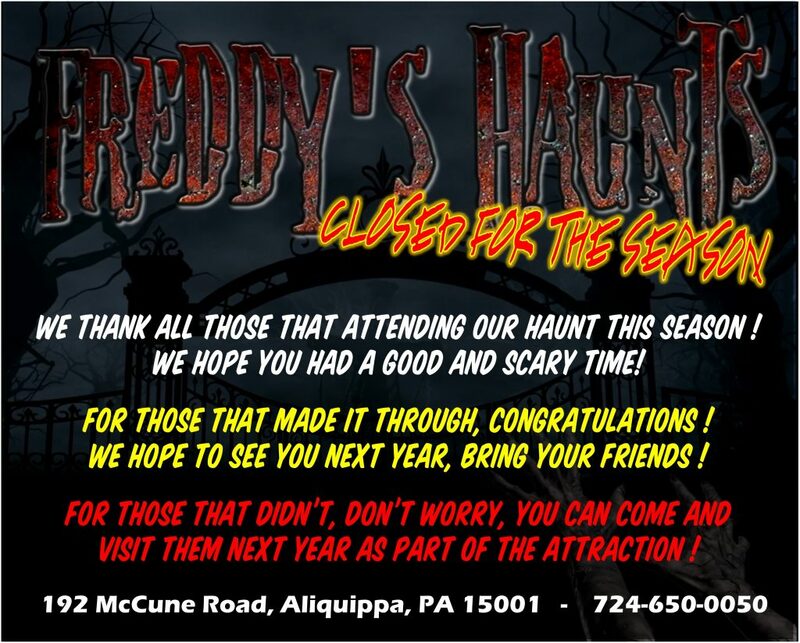 Freddy’s haunts is a family owned and operated haunted trail that was originally opened in 1993 under the name skull mountain haunted trail. Due to circumstances out of our control, we are now known as Freddy’s Haunts. We are an immersive, all enclosed haunted trail that is filled with the monsters from your worst nightmares. Our old-school haunted trail operates rain or moonshine with an enclosed waiting area so that you don’t have to endure the elements along with your worst fears. Our snack-bar is fully stocked and operational until the last soul leaves.